Just Golden: How often do you floss? I have ways of finding out! Seriously...there is no need to lie. The inspection is always very thorough. When asked for comments on why she is so annoying, Tess was unavailable. And to think...as vicious as Molly is, she just laid there, showed some teeth and went right back to sleep after this little session was over. Tess, as clueless as ever, still wonders what she did that was so annoying. When I read the title of the post I thought it was going to be about the news out today that listed the cities with the worst teeth. Well, wouldn't have mattered anyway because your girls' teeth are perfect! You have my vote this Nov, by the way, just as long as these two are nominated as top cabinet members. 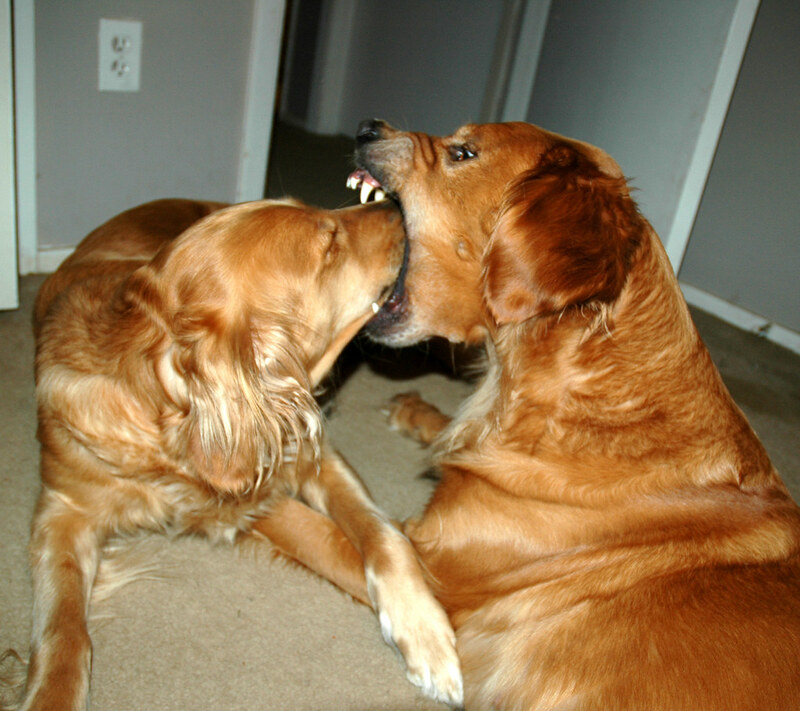 My GOSH -- who would have guessed a golden could open her mouth so wide! You always amaze me with your pictures! How many pictures do you take in a day? How many did you take to get that one shot? I love it! Your girls are such characters!